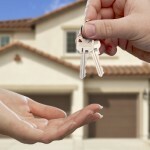 Are you thinking of buying your first home in Ohio? 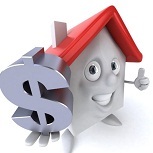 Would you like financial assistance to help with the down payment and closing costs? If you answered yes to these two questions, there is great news for you. The state of Ohio has programs and incentives for its residents who are first time home buyers and need help with the purchase of their first home. In many instance this is free money in the form of grants that doesn’t have to be repaid. The grant awards can be in the thousands of dollars. It will be well worth your time to educate yourself about the programs that the State of Ohio provides. 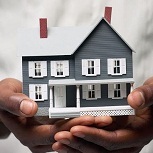 The agency in Ohio that provides assistance to the home buyers is the Ohio Housing Finance Agency. There are a variety of programs available, depending upon your income, but only one is an outright cash grant. To find out more about the grant and the various other programs you may qualify for, please visit the Ohio Housing Finance Agency website page that outlines all the grant programs. You can visit it by going to this website. If paying for a down payment and closing costs have kept you from getting into a home of your own, OHFA’s Down Payment Assistance Grant may be able to help. Eligible borrowers participating in the First-Time Homebuyer Program, Target Area Loan Program, and Ohio Heroes Program can use the grant to greatly reduce the out-of-pocket expenses associated with buying a home. You can use the grant towards the down payment, closing costs, or other prepaid expenses incurred prior to closing. Keep in mind that while the grant will greatly reduce your expenses, you may still be required to pay for some costs out of pocket. In addition to the grant programs described above, the U.S. Department of Housing and Urban Development provides financial assistancein every state. There are multiple grant programs designed specifically for people that meet specific requirements, such as grants for people with disabilities so they can continue to live independently at home. It is worth visiting HUD’s website to see what assistance is currently available. For your convenience, simply go to this website. CHIP (Community Housing Improvement Program). Oversees applications for FTHB and Homeowner Rehabilitation Assistance. These programs require coordination with the State of Ohio, Commissioner’s Office, County Building Department, County Recorder, County Auditor, mortgage companies, banks, local builders, and realtors. CAHEC created the Open Doors Homeownership Grant specifically for nonprofit organizations engaged in developing affordable housing for sale to low-income households living in areas that CAHEC serves (see below). As many as five grants of $10,000 each are available. The Open Doors Homeownership Grant is not intended to provide gap financing for the construction of affordable housing. Rather, because nonprofit developers often incur expenses not listed in a development budget, CAHEC designed the Open Doors Homeownership Grant to supplement the costs associated with developing housing for sale to low-income households. Eligible expenses include, but are not limited to, training, travel, marketing, and consultants. Neighborhood Housing of Services of Greater Cleveland (NHSGC) was founded in 1975 to create a partnership among residents, government and the business community to lead to the revitalization of the Greater Cleveland region. Through direct consumer education and lending NHSGC continues to assist residents in building wealth. Neighborhood Housing Services of Greater Cleveland (NHSGC) provides ongoing programs and services for achieving, preserving, and sustaining the American dream of home ownership. support services throughout the construction process. The Housing Division serves Columbus by preserving and producing housing that helps build strong, distinct and vibrant neighborhoods. The Housing Division collaborates with federal, state and local government housing agencies to strategically target its resources for neighborhood investment. These programs are available to city of Columbus residents eligible for assistance guided by the U.S. Department of Housing and Urban Development Income Guidelines. For families at or below 80% median income adjusted for family size, the program provides maximum assistance of 10% of the purchase price up to $15,000 on existing homes and 10% of the purchase price up to $20,000 on new construction anywhere within the City of Dayton limits. For families above 80% median income adjusted for family size, the program provides 10% down payment assistance up to $15,000 on existing homes and 10% of the purchase price up to $20,000 on new construction, for purchases only within the designated Community Development Areas in the City of Dayton. You can buy your own home with only $500 down. 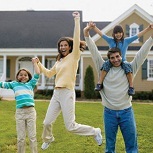 Qualified individuals can receive up to $6,000 in down payment and closing cost assistance. Down payment assistance is forgiven after five or six years of home ownership. We can help with mortgage payments if you are having trouble. To be eligible you must meet all of the Rescue Funds guidelines. Those who qualify may receive a loan of up to 3 months of mortgage payments or as much as $5,000. Income qualifications and other guidelines do apply. 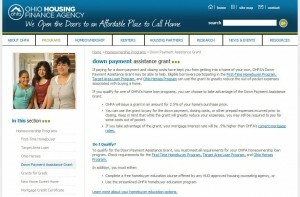 Applications for the Down Payment Assistance Program are now available. There is a link to the application at the bottom of this page. Down Payment Assistance is available to the 1st time home buyers. Applicants for the Kettering Down Payment Assistance Program must have a certificate of completion of an 8-hour HUD approved Home Buyer Course. The HomeOwnership Center of Dayton is a partner with the City of Kettering for this program. For more information about their programs and course dates, please call them at 937-853-1616 or visit their web page at HomeOwnership Center of Greater Dayton. The City of Lancaster has available a homebuyer acquisition assistance program to assist low-and-moderate income households in purchasing a single family dwelling unit within the City of Lancaster. The city of Lancaster’s Community Development Department will provide an interest free loan of $5,000 for a mortgage buy down to help eligible persons qualify for a conventional or insured mortgage loan through a participating bank, savings and loan association, credit union, or other private lending institution. The loan will be collaterized by a subordinate lien and repayment is due on sale and/or transfer of property. Lancaster’s Homebuyer Acquisition Assistance Program is financed through the U.S. Department of HUD or the State of Ohio. The City of Mansfield, Department of Community Development, will be accepting applications for the Homebuyer Loan Assistance Program. Under this program, homes have been purchased and renovated in the city of Mansfield, to be sold to qualifying homebuyers. These homes are for persons not owning a home in the last three (3) years with incomes not exceeding 50% – 80% of Mansfield’s median family income. The purpose of this program is to correct true emergency problems that are a current threat to the health and safety of the household. Problems such as a furnace, hot water tank, and water or sewer line can be addressed. The maximum amount of assistance cannot exceed $4,000.00. Community Development Block Grant Home Improvement Loan, Lifetime Home Improvement Loan; Emergency Assistance; Lease Purchase Homeownership; American Dream Downpayment Assistance (ADDI); HomeStart Program, and Housing Trust. On behalf of the City of Marietta, the City of Belpre, Washington County Commissioners and Morgan County Commissioners, the Community Housing Improvement Program provides a comprehensive program of housing services to low and moderate income families living in Washington County and Morgan County. Thousands of low- and moderate-income Ohioans have purchased homes of their own thanks to OHFA’s First-Time Homebuyer Program. The competitive interest rates and mortgage options on our 30-year, fixed-rate mortgage loans make it affordable for qualifying buyers to realize the dream of homeownership. Assistance is in the form of 0% five-year declining-deferred loans. 80% of the amount borrowed will be forgiven over a five-year time period. The remaining 20% will be in the form of a deferred loan. Deferred loans are not repaid until the homeowner sells, vacates, or transfers the title to the property. CHIP assistance for this program, an average of $20,000 – $42,000 per household, is available to those households whose incomes do not exceed 80% of the Median Income for Shelby County. The City of Springfield has limited funding for down payment and/or closing cost assistance for qualified home buyers. The funds for this program come from the Department of Housing and Urban Development (HUD), with assistance limited to borrowers whose income is 80% or less of Springfield’s median income. As a first step to see if you might be eligible for this assistance, find your total household size in the top row of the table. Your total gross household income would need to be at or below 80% of median income for the Springfield area, as indicated by the income limit directly beside the applicable household size. This entry was posted in Down Payment Assistance, First Time Home Buyer Grants, First Time Home Buyer Info, First Time Home Buyer Programs and tagged American Dream Downpayment Assistance, CHIP assistance, Cincinnati/Ohio Trust Fund Gift Program, closing cost assistance, Community Development Block Grant, Deferred Loan Program, down payment assistance, down payment assistance grant, down payment grants, HomeStart Program. Bookmark the permalink.